Started in the U.K. in 1994 as International Journal of Punjāb Studies, it continued as Journal of Punjāb Studies under the auspices of the Global Studies Department at UC Santa Barbara from 2004 to 2015. 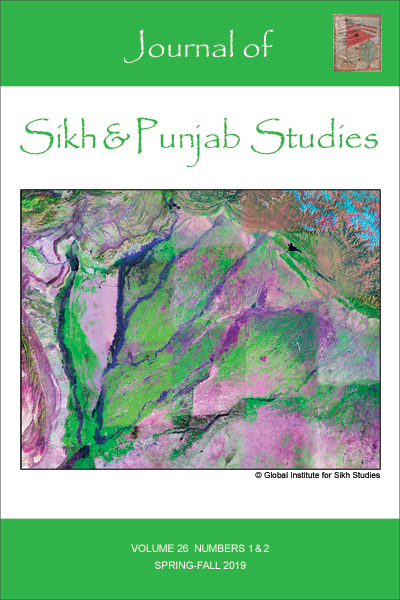 In 2016, it moved to the newly created Global Institute for Sikh Studies, New York, and reincarnated itself as Journal of Sikh & Punjāb Studies. JSPS' primary goal is to disseminate the latest research on the Punjab, a region located in the northwest of the Indian subcontinent. It welcomes articles on any facet of the land and its people from the Indus Valley Civilization (2000BCE) to the political bifurcation of the region into East Punjab (India) and West Punjab (Pakistan), in 1947, and the migration of many Punjabis around the globe in the subsequent decades. JSPS is FREE, and we at GISS sincerely hope that scholars, teachers, students, and lay readers would make good use of this reservoir of information. All 24 volumes carrying over 200 articles and a large set of book reviews can be accessed and downloaded.